The La Leche League of Canada is a group that aims to promote and support breastfeeding. We all know mother’s milk is the superior infant food and breastfeeding is an essential part of developing the bond between mother and baby. A local Le Leche League group recently received funding through the Thrive! Community Breastfeeding Project to purchase books and dvds on breastfeeding which are now available for the public to borrow at public libraries across Nova Scotia. It’s partnerships like this that make public libraries an essential way to promote health literacy. To celebrate this new collection of breastfeeding resources, there will be a celebration at the Windsor Regional Library on Saturday, October 4th from 10-12. Books purchased through the grant will be on display, there will be a special Babies & Books Storytime, and there will be some treats too! So plan to stop by the Windsor Library on the morning of October 4th to show that you support breastfeeding. Since 2002 the Nova Scotia Library Association (NSLA) Annual Conference has been a joint conference with the Library Boards Association of Nova Scotia (LBANS). Each fall, NSLA and LBANS hold this conference in one of Nova Scotia’s nine library regions. What is NSLA? NSLA is an association for those involved in librarianship/library and information studies at all levels and in all regions in Nova Scotia. Its purpose is to facilitate the exchange of ideas, and to promote a forum for the discussion of issues amongst people concerned with library and information services. Since its formation in 1973, NSLA has been involved in numerous national initiatives including the National Summit of Information Policy. NSLA is also committed to working on the Strategic Plan for Nova Scotia Regional Libraries. For more information go to http://www.nsla.ns.ca/. LBANS mandate is to protect, preserve, promote, and support quality public library service in Nova Scotia. 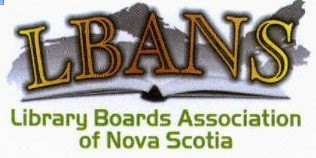 Public Libraries in Nova Scotia are governed by nine regional library boards made up of municipal, provincial and board appointments. While boards vary slightly in their composition, 2 seats are open to interested citizens from each region. Click here for details. The purpose of the conference is staff development and training. This is also a good opportunity for professional networking, and for board members to meet many colleagues from around the province. The 2014 NSLA/LBANS conference is being hosted by the Cumberland Public Libraries and will be held in Amherst, Nova Scotia on September 26th-28th, 2014. For conference information please check out the conference website. The Norman Horrocks Award for Library Leadership was established to honor leadership in the Nova Scotia Library community and is given by NSLA for distinguished contributions to the promotion and development of library service in Nova Scotia. Those contributions should be of lasting significance and may be for leadership of various kinds – ranging from local projects to those of provincial scope, and may cover any type of library activity. The Emile Theriault Library and Information Technology Award recognizes the efforts of a library support staff member who has made a major contribution to their library community. Consider becoming an NSLA member. The benefits include staying ahead of the issues concerning libraries in Nova Scotia, participating in the Education Institute webinars, attending workshops at a reduced rate and network, learn and have fun at the annual conference with the membership rate. To become a member go to this link! Have you read Roost yet? 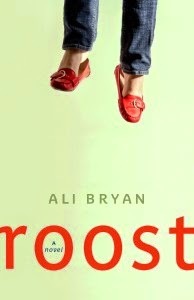 Ali Bryan’s novel Roost is this year’s pick for One Book Nova Scotia which is the book all Nova Scotians are being encouraged to read this year. Ali will be here in the Valley at the NSCC Kingstec Library in Kentville on Monday, September 22 at 7:00 p.m. She’ll be reading from Roost and sharing stories about the writing process as well as answering questions. We have several copies of her book available at Annapolis Valley Regional Libraries as well as a downloadable eBook version and a Book Club in a Bag kit. Copies of her book will also be for sale at the reading thanks to our friends from Box of Delights in Wolfville. Set in Nova Scotia, Roost is the story of a single mom dealing with the sudden loss of her mother, the quirky and troubling behavior of her aging father, and her long-term sibling rivalry with her “perfect” brother. Told with great humour and compassion, Ali Bryan creates compelling and relatable characters that may remind us of ourselves or someone we know. 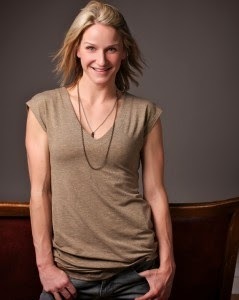 Ali was originally from Halifax, then Sackville, NB, and like many other Maritimers, currently lives in Alberta. Thanks to a grant from the Canada Council for the Arts, she kicks off an author reading tour of Nova Scotia starting at Halifax’s Word on the Street on Sunday, September 21. Her tour includes readings not only here in the Valley, but in Yarmouth, Antigonish, Baddeck and Amherst. School. Here we go again! 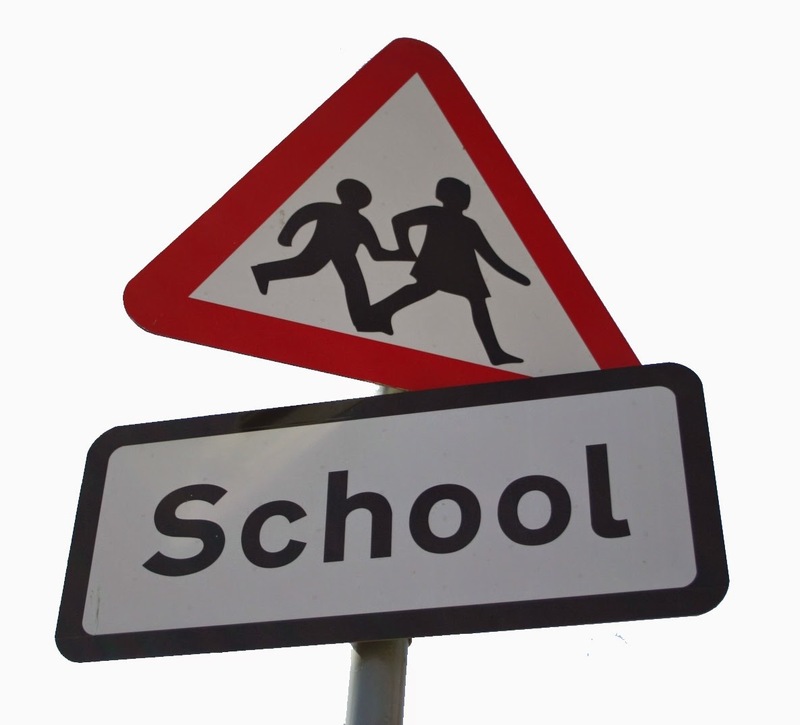 Hard to believe that summer holiday has ended and school is already back in session. For some, this is the very first time to go to school. Even heading out to preschool for the first time can be daunting to a young child (and their parents, too!). We've got books that can help with this transition-- it is sometimes comforting to see your situation in a picture book, and learn that it all comes out fine in the end. Click HERE to see the booklist and place holds for those that you'd like to share with your child. And when your child gets home from school, this blog post has some great tips for talking about their day. This Pinterest board from Scholastic has so many good links to explore as you and your child settle back into the school year. When buying school supplies, don't forget one of the best FREE things you can get for your child-- a library card! Book reports? We've got books, and plenty of them! Is your child just learning to read? We've got Little Reader Bags that you can bring home for extra practise. We also have them in French. Do you have a child who isn't terribly fond of reading? How about trying an audiobook? We have them on CD as well as downloads. Your local library has plenty to support your child's education. If you can't find what you need, just ask us! For your older child, start the year off right with no homework woes. We offer FREE online tutors from Tutor.com every day from 3 PM- midnight. Can't figure out that math problem? Physics not making sense? 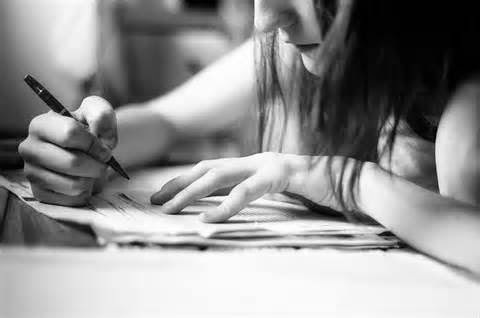 Have an essay that needs a bit of sprucing up? The online tutors at Tutor.com can help! You'll need your library card and access to the Internet, and you are on your way to getting that homework done! All of our branches offer free WiFi and access to computers. We have programs for after school, such as LEGO and crafts. We've got storytimes for your child who is not yet in school (storytime is a great way to get your child ready for school). We offer databases with access to magazine articles, health information, statistics, and author information. We have teen programs, too! We hope to see you this fall and are happy to help with your schooling needs, as well as providing reading materials just for fun! Come visit your local library. We'll be here. What do you know about Labour Day? Most of us only think “long weekend” when we hear the words Labour Day, but have you ever wondered how it came about? This holiday that we are all so accustomed to having was the result of many years of struggle. In the year 1869 in an age of rapid industrial expansion and growth a small movement began in Hamilton, Ontario. 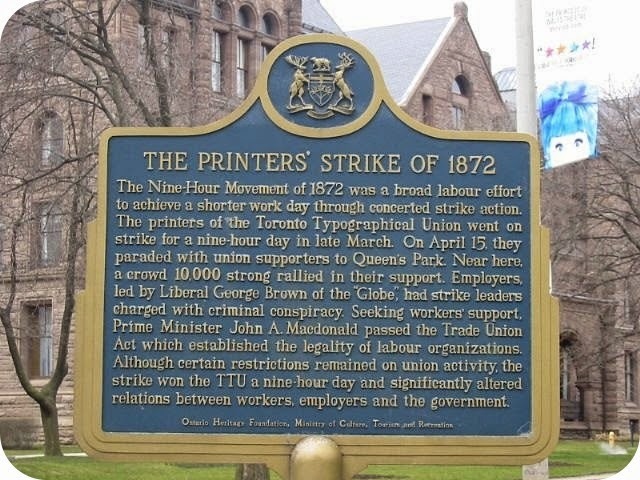 Referred to as the 9 hour movement ( to protest the 12 hour work day ) it grew in size until in March 1872 the Toronto Typographical Union went on strike over hours of work. Unlike Britain which had abolished laws criminalising union activity, Canada still had these laws on the books and employers pressed police to act, arresting 24 leaders of the Typographical Union. Sir John A. MacDonald made a swift move to gain public support and only 4 short months later the Trade Union Act was passed. Although there were still many, many restrictions it paved the way for unions to legally represent the worker. In December 1872 a parade was staged in support of the Toronto Typographical Union's strike for a 58-hour work-week. The Toronto Trades Assembly (TTA) called its 27 unions to demonstrate in support of the Typographical Union who had been on strike since March 25. These marches in support of the 9 hour workday gained support and grew in size and popularity every year. 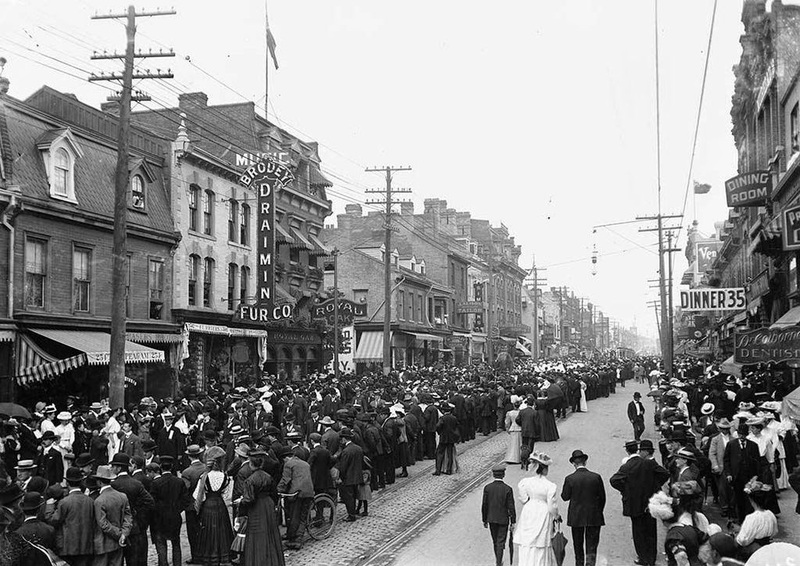 After attending one of these labour festivals in Toronto, U.S. labour leader Peter J. McGuire went back to New York and established the first U.S. Labor Day on September 5, 1882. 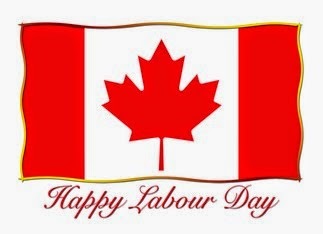 In June 1894 Canadian Prime Minister John Thompson made Labour Day an official holiday to be celebrated in September. Change did not come quickly or easily and many people lost their jobs in the process, but as a result of that small movement 145 years ago the majority of workers today have access to union or to other labour representation for their concerns. Ready for some fun? Take the Labour Day quiz!